Happy Monday! Mondays are the start of another school and work week around here. Back to early morning alarm clocks, long track and soccer practices, and cramming everything else in. Sometimes I wonder how we fit everything in to the schedule every week. We seem to race from activity to activity. Zooming here and there, just like a dragonfly. Dragonflies have this amazing capacity for speed. Only when they hover can you see their beauty. When they fly, they are like a blur. In the Detailed Dragonfly Thinlet set, there is a small string of dragonflies all connected together. It reminds me of watching a dragonfly flit across the sky in a blur. 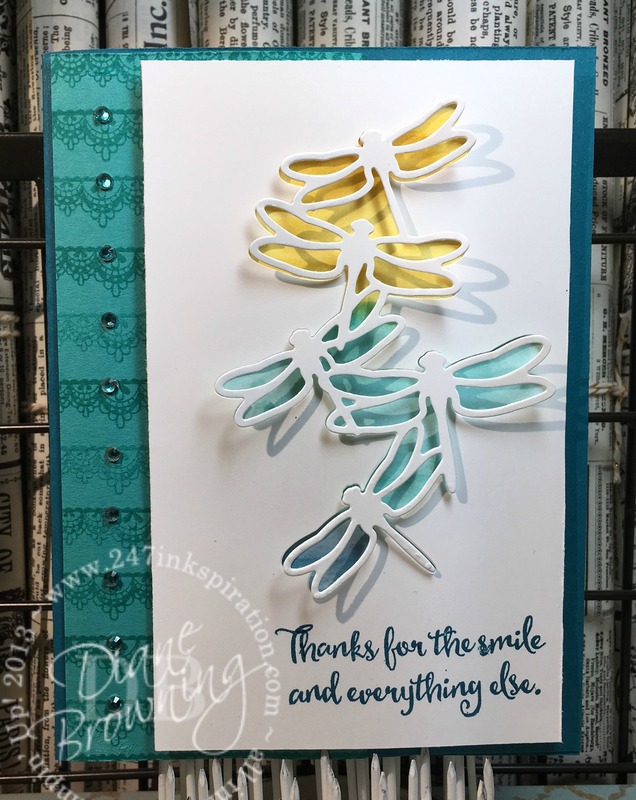 One of the samples from the Occasions Catalog uses this particular die with the dragonfly in white with a bit of color peeking out from below. I took that same idea, but instead watercolored my background behind the dragonflies. For my watercoloring, I used Crushed Curry, Bermuda Bay, and Island Indigo. 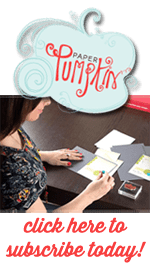 Where the colors meet, there’s a little bit of blending, giving it some darker and lighter shades. Here’s a close-up view of the dragonflies. Amazing! 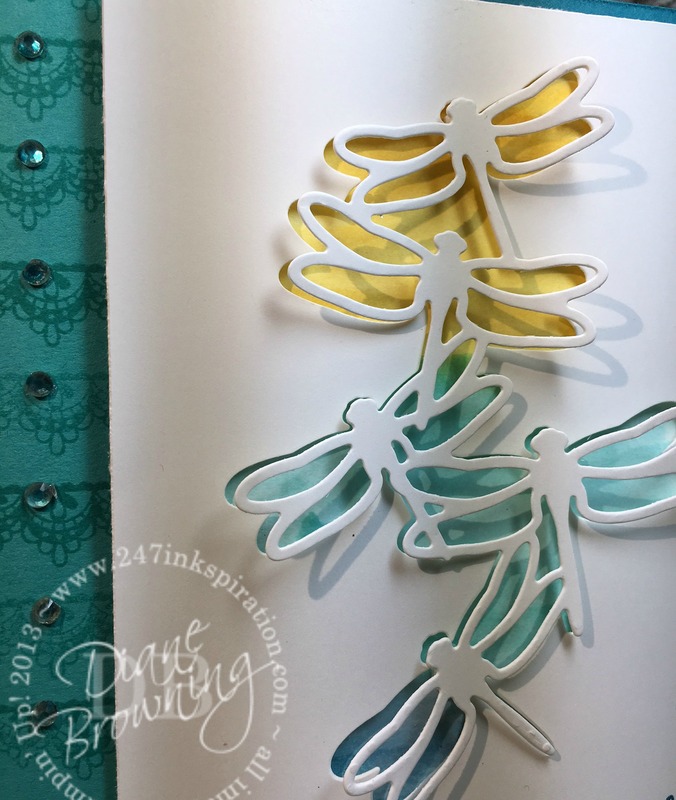 The dragonflies look like they are about to fly off the card on to their next adventure. Just like us…racing off to the next activity. Hoping your week will be filled with adventure too.